For the first time ever, I’ve started watching American Idol this year. And imagine my surprise when I see that Amy Davis is one of the final 24 contestants. There are a couple more shots (swimwear, fashion) of her in my photography portfolio – go take a look if you’d like! This entry was posted in american idol, amy davis, photography on February 19, 2008 by gregr. About a year and a half ago, I wrote about Picasa Web Albums, discussing their terms of service and explaining why I couldn’t use it. Basically, those terms said that Google could help themselves to your photos if they wish, and if they wanted to put them on a Google billboard in Times Square, that would be just fine with you, thanks. This is just nuts. Basically, they’re welcome to take your stuff, make a copy, and use it for a multi-million dollar ad campaign if they want. Or, they could license YOUR photo to someone else to do the same. If you’re thinking “hey, I don’t care” – read the part about you having the right to grant this license to Facebook. It’s possible you don’t – read my previous post about Picasa for details. So other than my profile pic, which I suppose they can use for whatever they like, I’ve removed all of my photos from my Facebook profile. My profile is now pretty bare – not a lot of exciting stuff there. I’ll just point people to other places where I actually share some of the things I’ve done without worrying about some company helping themselves to whatever rights they want. Facebook, you convince your partners to help you help yourself to my private information. You blatantly help yourself to whatever rights you want to everything I put on your site. What’s next? I shudder to imagine. 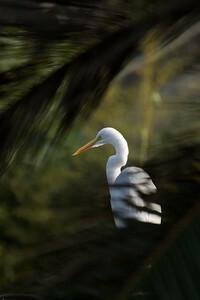 This entry was posted in photography on January 14, 2008 by gregr. Wow. I’m pretty much the last to hear about this, but it’s truly hard to believe. Virgin Mobile has an advertising campaign out at the moment, which uses photos from Flickr (Creative Commons licensed), but doesn’t have model releases for the folks in the photos. Google it here. Molly Holzschlag was one of the people depicted in the photos, in an arguably negative light. If I were her, I’d be pretty mad. Truly amazing. This is certainly not editorial use – this is commercial use, which requires a model release. And depicting anyone in a negative light, or showing them endorsing a product, even in editorial uses, usually requires a model release also. The fact that someone on Flickr says a photo is ok for commercial use (via a CC license) really has no bearing on whether they have secured releases (both model and property as necessary). And while your average Joe might not realize this, the folks at an ad agency responsible for acquiring artwork should definitely know it. This entry was posted in photography on August 7, 2007 by gregr. JPG Magazine has a fashion theme for issue 12 this year…I just submitted a photo I took of the lovely Salena. It was a brisk 35 degrees F that night in Denver, so I figure she’s earned the cover. :-) If you have a minute, click here to vote for it! This entry was posted in photography on July 26, 2007 by gregr. As many of you know, when I’m not in the office here at NewsGator I’m usually doing photography. I started out photographing just about anything, but I’ve more recently been focusing on fashion work (and a bit of glamour as well). I’ve got a lot to say about all of that, and I agonized for a while about where to write about it, whether it should be here on my personal blog or on a new blog. I ended up creating a new blog, Greg Reinacker Photography – Blog, part of the larger Greg Reinacker Photography site, which focuses on my photography work. So go take a look, and don’t forget to subscribe to my new blog! I have the feed links below…see you there! This entry was posted in photography on January 3, 2007 by gregr.